Alex Fiano is available for readings and discussions, particularly for book groups and LGBTQIA+ youth groups. This can also include Skype presentations with the voices of the characters. The Hanged Man and Two-Faced Woman are available in the Chris Gonzalez Library & Archive, the Indiana University Bloomington GLBTSSS Library and the William Way LGBT Community Center. 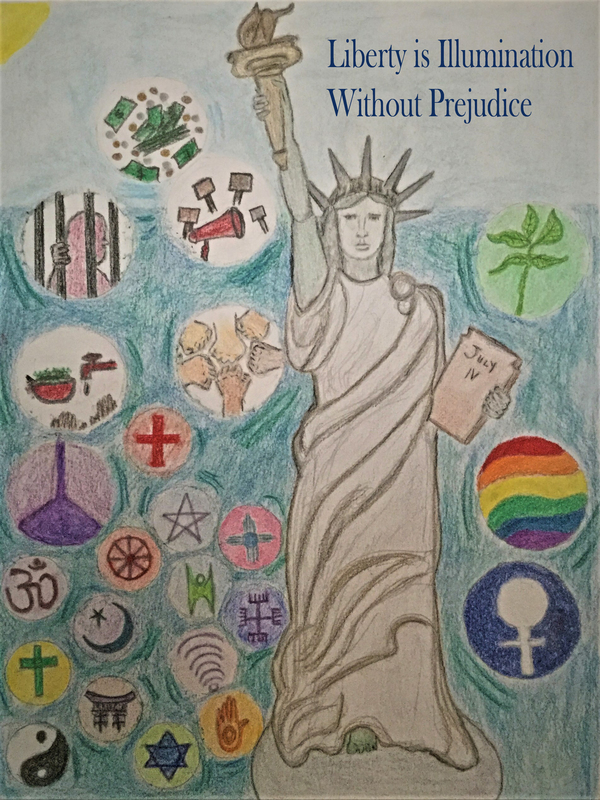 Alex Fiano’s work Illumination Liberty was part of the Art of Protest Exhibit at Hunter College, December 19, 2018. Gabriel’s World had a table at the Rainbow LGBT Book Fair in Manhattan on March 29, 2014, including a reading from The Book of Joel. Gabriel’s World had a table at the 2013 Brooklyn Book Festival. The Gabriel’s World series is mentioned in an essay by Josh Lanyon on the Thrilling Detective website, A Queer Eye for New Eyes. Many thanks to Mr. Lanyon for discussing GW in such good company. The Book of Joel was a Bisexual Mystery finalist in the 2015 Third Annual Bisexual Book Awards.